and that means we have a slight break between our two major holiday seasons (Christmas, and - of course - Mardi Gras). This isn't to say that our schedule is empty, but we do get a little breather before the Carnival madness explodes. and immediately get to work, but the rest of us get serious about playing. "EVERY PLAYER HAS A STORY..."
Each year, one of the "unofficial" traditions of Senior Bowl Week is the game's Executive Director, Phil Savage's appearance at the Sunrise Rotary Club. Yes, there is the obligatory post season review of the Alabama Crimson Tide, but the focus is ultimately all on the Senior Bowl. After sharing highlights and stats of the game as a whole, Phil turned to the Seniors coming to showcase their talents. When asked "Who stands the benefit the most? ", his response was "anyone that takes advantage of the opportunity", but he did share one of the stories that exemplifies the unique aspect presented by the Senior Bowl format. A friend and alumni of Tiffin University, sent Phil a tape on unheralded, dual-threat, quarterback Antonio Pipken. Only three NFL scouts had been to see Pipken play, but his talent potential was undeniable - and he became the first ever Tiffin Dragon and only third NCAA Divsion 2 quarterback to garner a Senior Bowl invitation. 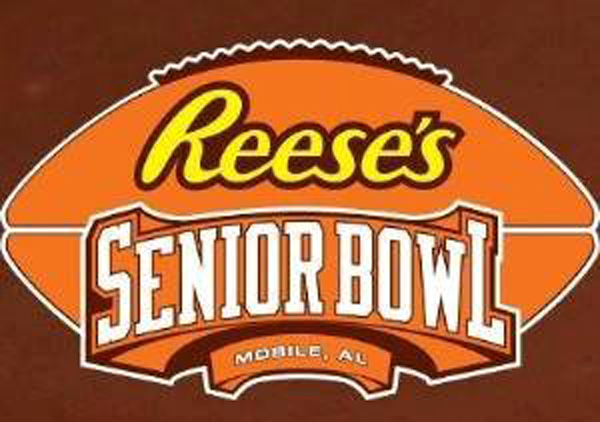 For more stories on the game and its players follow this link: http://www.seniorbowl.com/news-highlights.php. Nothing quite captures the "Alabama Coasting" spirit then the combination of great food and great competition - and each year, our good friend, Bob Baumhower, gets Senior Bowl Saturday started right with the Baumhower's Tailgate Challenge. Taking place in the Ladd Stadium parking lot (where else? ), a team of celebrity judges will make the rounds beginning at 930. Awards are given to the best in the following categories: Alabama Seafood Gumbo; Alabama Seafood Entree; Wings; BBQ Entree; Reese's Dessert; and Tailgate Party. Alabama Coasting will be on hand reporting "live" (yes, tough duty once again). Look forward to seeing you all in and around Mobile for Senior Bowl Week 2017!